James Reimer started playing goalie when his older brother, Mark needed practice shooting. A local minor hockey coach heard about his prowess in goal, and recruited him. His parents were unsure if minor hockey was the right fit for their son, so he did not play organized hockey until he was 12. He was first noticed by agent Ray Petkau when he was 13, after playing with a church team at a tournament in Steinbach, Manitoba. As of March 2011, Petkau was still his representative. Reimer played his last seasons of minor hockey for the Interlake Lightning of the Manitoba "AAA" Midget league. He was the team's rookie of the year and top scholastic player after the 2002–03 season, and the most valuable player after the 2004–05 season. 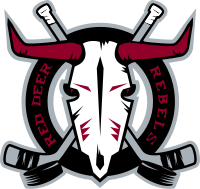 Reimer was selected by the Red Deer Rebels in the fifth round of the 2003 Western Hockey League (WHL) Bantam Draft, with a pick that originally belonged to the Spokane Chiefs. The team drafted Reimer largely on the word of a single scout, Carter Sears. After Reimer performed poorly during his first training camp with the club, Rebels head coach Brent Sutter wanted to release him, but Sears was persistent in his support for Reimer. Reimer made the club in his third attempt after having been cut the previous two seasons. His first season in the WHL was a poor one for the Rebels. Reimer played 34 games, recording only 7 wins. Reimer broke his hand late in the season, an injury which cost him a chance to play for Team Canada at the 2006 IIHF World U18 Championships. Despite his poor statistics, Reimer was selected by the Toronto Maple Leafs in the fourth round (99th overall) of the 2006 National Hockey League (NHL) Entry Draft. John Ferguson, Jr., the Maple Leafs general manager at the time, remembers Reimer as an unfinished product needing time to develop, being "somewhat raw". At the time of the draft, Reimer was preparing for his high school graduation, and did not attend the event in Vancouver, British Columbia. He said, "I made a decision not to pay a lot of attention because I was reluctant to get my hopes too high." His agent, Ray Petkau, called with the news about being drafted and later brought him his Maple Leafs jersey and hat that draftees receive. Prior to the draft, Reimer had mentioned that he would like to be drafted by the Los Angeles Kings, saying "I'd love to play hockey in all that sunshine." Reimer attended training camp with the Maple Leafs in 2006 and 2007, but was returned to the Rebels both times. During the 2006–07 WHL season, Reimer played in 60 games with the Rebels, and recording 26 wins, 23 losses and 7 ties. This was the only season in his WHL career that Reimer finished with a winning record. The 2007–08 WHL season was Reimer's final season in the WHL. He suffered a torn ligament in his ankle, and only appeared in 30 games. In March 2008, the Maple Leafs signed Reimer to a three-year contract worth an annual base salary of $555,000. The deal included a $180,000 signing bonus and playing incentives that could increase the total value of the contract to $1.8 million. His base salary was $555,000 — the minimum salary for an NHL player.